Hello Friends! 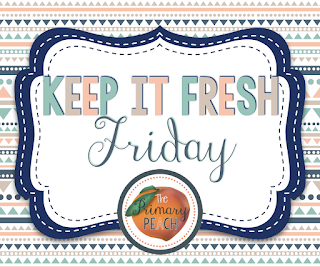 Today is Keep it Fresh Friday! It's Erin from The Elementary Darling and today I am going to talk to you about why I LOVE instagram! I have learned so many things from my friends on Instagram. I actually met my fellow Primary Peach Chandra from Teaching with Crayons and Curls on there and I have loved becoming blog buddies with her! So my favorite tip that I learned from instagram, is to meet new people! My next tip is to use the hashtags. YES I was a hashtag hater in the beginning, but now I know that they help me find great ideas (#teachersfollowteachers, #teachersofinstagram) and grade level finds (#iteachfirst, #iteachgifted). They also help me find great deals at my favorite stores! (#teacherslovetarget, #dollartree) I love that I can find things using those hashtags. Tip 3: Post a variety of pictures. Personal, classroom, and quotes or memes. I believe that personal pictures show a little bit of your real life and that is how you make connections! Classroom pictures always give other people ideas, and I have gotten some wonderful ones from my insta friends! Tip 4: Use a name that people know. It can be your personal name, TPT name, or blog name! I started with my real name, and after a year realized I was using it for mostly classroom resources. I changed my name to match my TPT and blog name and it worked out so much better. Since I post my TPT products and blog posts on Instagram, it just made sense! Tip 5: Leave your insta friends some love! A like or comment can make someone's day! If it is an idea I am going to use I always take a screenshot of it so I can credit them if I post it or blog about it later! I love leaving and receiving comments from my friends! Now it's time for you to start your instagram! 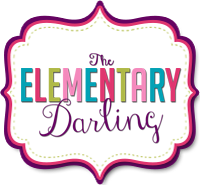 Find me @theelementarydarling and our lovely Georgia Teacher blog @theprimarypeach. All of our authors at the peach are followed by our group account so leave them some love! Leave your instagram handle in the comments for a little follow party! I found you! Can't wait to be "insta" friends!